From the desk of Thad Anderson, the Director of the UCF Percussion Ensemble. UCF PE left a serious, indelible psychic mark on many experiencers at the Timucua white house on March 17th. You’ll witness a different environmental and dynamics take on Persephassa if you attend and add the final movement of Pléïades to your live Xenakis cap. This will be a momentous occasion taking place outdoors at UCF’s Reflecting Pond. 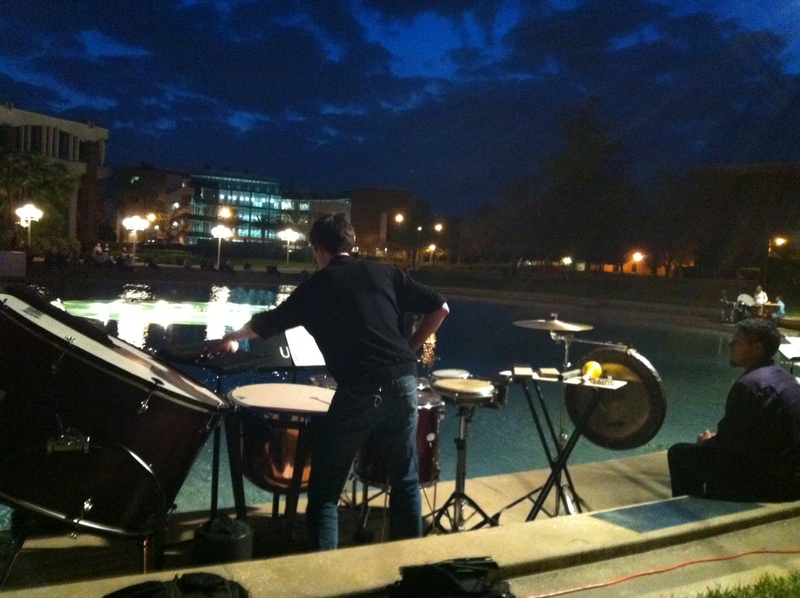 The audience will be encouraged to circle the pond to experience these seminal works for percussion. With so much chatter about the singular output of Iannis Xenakis here, dive into this reverse chronology playlist from the remarkable Ulysses’ Classical app available through Spotify. Tags: Iannis Xenakis, Percussion ensemble, Persephassa, Thad Anderson, UCF Percussion Ensemble, Ulysses' Classical. Bookmark the permalink.